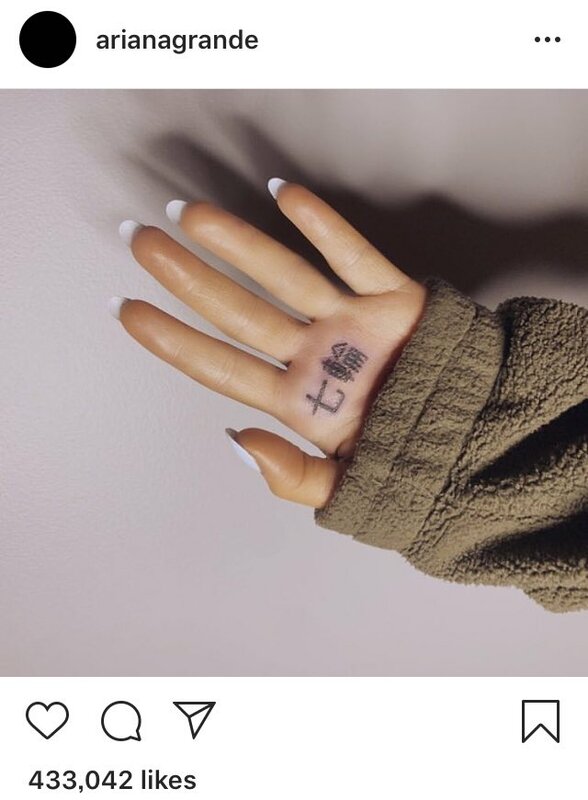 To celebrate her new single “7 Rings”, Ariana Grande got a new Japanese text tattoo that says nothing like 7 rings, but…small barbeque grills. The pop singer posted a photo of her new tattoo piece in a since-deleted Instagram post. The post immediately filled up with comments from fans saying that her ink had a serious misspelling. The two Kanji characters on Grande’s palm literally mean “seven wheels”, which in Japenese is the term for shichirin, a small barbeque grill heated with charcoal. The singer later explained in a since-deleted tweet that she left some characters out because she couldn’t bear the pain during the tattoo session. And added that she is also a huge fan of tiny barbeque grills.